Peachy pastel pops of 1950s retro style ensure these crystal stud earrings are a must have for a peach wedding. Romantic, elegant and incredibly feminine are just some of the words which could describe our sparkling Peach Passion Earrings. 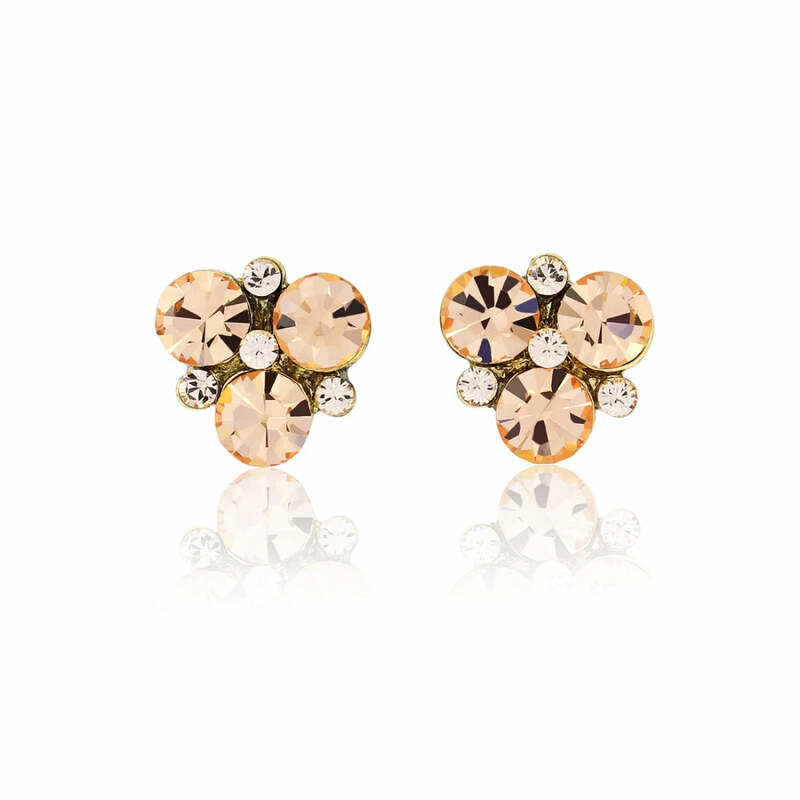 Pastel studs featuring light and very pale peach crystals, the beauty of these delicate hues comes alive against the gold setting. Oozing retro style with a pop of colour, these dainty earrings are perfect for both day and night. With effortless ease they will add sparkling elegance to a flowing summer maxi or a figure hugging evening gown for a summer ball. An oh-so-pretty wedding theme, our coordinating Peach Passion accessories are sure to add breath-taking loveliness to your Special day. Dress up your bridesmaids’ style with a gorgeous mix of vintage and modern for show stopping style.